Brewing a cup of coffee by hand with the so called pour over method is becoming more and more popular. Pour over means that you place the ground coffee in a filter holder and slowly pour hot water over the grounds. Since you have total control over the amount of ground coffee and water, as well as temperature and brewing time, you can produce a really good cup of coffee! It is also relaxing to take the time to slowly brew a cup of coffee. 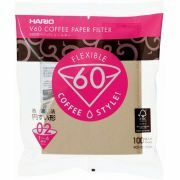 We have many different models and types of filter holders and all the different coffee filter papers that are used in them. 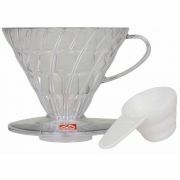 We also have water kettles, precision weighing scales and other accessories for pour over coffee. 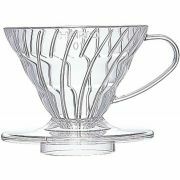 We have brands like Hario, Chemex, Fellow and Brewista.